Enter DirectCU III, aka DC3. This major upgrade to ASUS’ cooling solution has been fed to a number of recently released cards including: R9 390X, R9 Fury and the graphics card in the spotlight today; R9 FURY. The STRIX R9 FURY DC3 OC arrives with a triple fan configuration which promises to deliver 30% better cooling performance and should be 3X quieter. Not only is this graphics card custom cooled but it’s also factory overclocked to squeeze even more out of AMD’s flagship GPU. 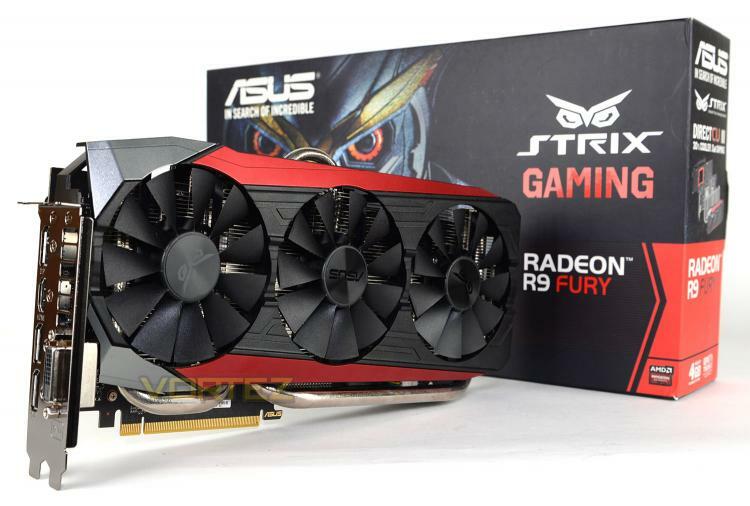 ASUS STRIX R9 Fury gaming graphics card packed with exclusive ASUS technologies, including DirectCU III with Patented Triple Wing-Blade 0dB Fan Design for maximum air flow with 30% cooler and 3X quieter performance. This card features exclusive ASUS AUTO-EXTREME Technology with Super Alloy Power II for premium quality and best reliability. It also has GPU Tweak II with Xsplit Gamecaster, provides intuitive performance tweaking and lets you stream your gameplay instantly.